Jim and Marge Welsh flew down the Melbourne Road to Ballarat in their borrowed Jaguar. It was December 1960. They arrived at the dance studio, upstairs at 12 Armstrong Street North, to be greeted by studio owner Marg Morcombe waving at them from the big steel windows that fronted the building. Jim and Marge had no idea that this was the beginning of a long legacy they would build in Ballarat. Marge stepped out of the car, zhooshing her dyed orange hair back into place, then ran her hands down her three quarter length leopard skin pants. After straigtening her blue tank top blouse she reached back into the car. Marge emerged holding Pepi her white fluffy poodle with a diamonte studded collar. There were to be a number of Pepi's over the years. The dance studio was closed over the summer holidays, so Jim and Marge set about preparing to get the studio hopping in early 1961. No money to speak of, they lived in the studio where the kitchen remains today. Through sheer hard work and a committment to each other, they opened for public and private lessons nights and weekends. And the dancers flocked to this new stylish couple who taught with vigor and expertise. So much so that students stayed for many years, making life-long committments to dance. 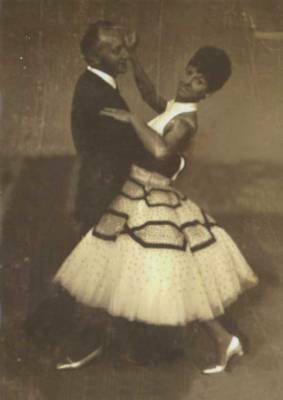 Peter Henderson was one of those who worked closely with Marge and did his exams to become a professional dancer. He started running classes, supporting the studio to take their young students to the Australian Champsionships. Peter remembers the studio as a hub of great fun, making many lifetime friends. He wasn't the only one, he said, that met his life partner on the dance floor. 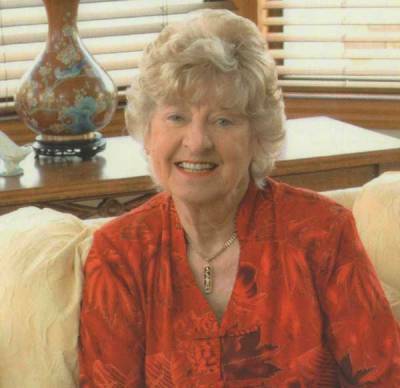 "Marge Welsh was not only my friend, she was a mentor who changed my life." Marge and Jim became very well-known throughout Ballarat, the King and Queen of ballroom dancing. On Channel 6, the local television channel, Marge developed a segment call 'Let's Dance' with Max Bartlett, where couples would dance under Jim's guidance. In 1972 Jim Welsh passed away after a short illness. Marge was devastated, and yet eternally grateful to the strong support of her students and friends who kept the studio going for her over such a difficult period. She returned, however, and continued to teach until in her early 70s. She met a dancer called Eric Langdon who answered an ad in the Weekly Times newspaper. He had no idea he was going to meet one of his best friends. He remembers walking up the 13 wooden steps, then a landing, then more steps, destined to climb them endlessly when he agreed to buy the studio, on the provisio Marge would stay on. And she did, for three years! "When she was teaching me a dance I would say 'I can't do that!' and she would reply 'Not only can you do it, you WILL do it!" Eric recounted. And while the studio was made of bricks, mortar and a very old wooden floor, its heart was always Marge. So lets finish on the words she announced every closing time. "Good evening friends and keep dancing!" Thanks to Peter Henderson and Eric Langdon for sharing their words of Marge with us. Thanks also to Eric for allowing us to borrow the old Jim Welsh Dancing Studio sign. Thanks to Tim at the Forge Pizzerie for giving us access to film in the old studio. Thanks to Sophie Livitsanis for your creative support. 2 Responses to "Dance on dear Marge…"
I danced with Marge, I miss her so much. Thanks for the exhibition of images, so great! attended during !963 to 1964 of myself. All to missed them of passed away recently and continue to dancing ahead.